Private alternatives to the government-insured Home Equity Conversion Mortgage (HECM) are becoming more popular — particularly for people with high-value properties — and have been seen by some in the reverse mortgage industry as a possible factor that could save the business from generally reduced volume, and the still-felt impact of October 2017’s changes to principal limit factors (PLFs). In order to more ably grow the larger home equity conversion business, however, jumbo and proprietary alternatives need to become more widely available. The business recognizes this need, and intends to address it. Mayer continued, saying that in terms of Longbridge’s expansion plans, there’s an untapped potential market in territories that have simply never had these kinds of options available in the past. Proprietary expansion to New York and Massachusetts specifically is less likely in the near term as those states have more regulatory obstacles, but expansion to other states could be achievable. In terms of the plans of other companies, expansion for proprietary offerings into new territories is seen as an investment in enhancing products they make available. 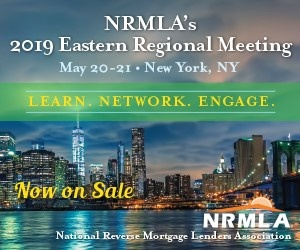 “At the moment we’re focused on maximizing our current suite of products, which includes expanding our Advantage jumbo reverse mortgage line into additional states,” an AAG spokesperson told RMD in an email. Finance of America Reverse (FAR) also stated its intent to continue the expansion of its own proprietary offerings into new territories.